This course covers information included in Treasury Department Circular No. 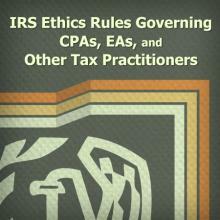 230 and offers ethics education for Enrolled Agents, CPAs and unenrolled tax preparers. This course covers ethics rules and regulations updated through August 2017.